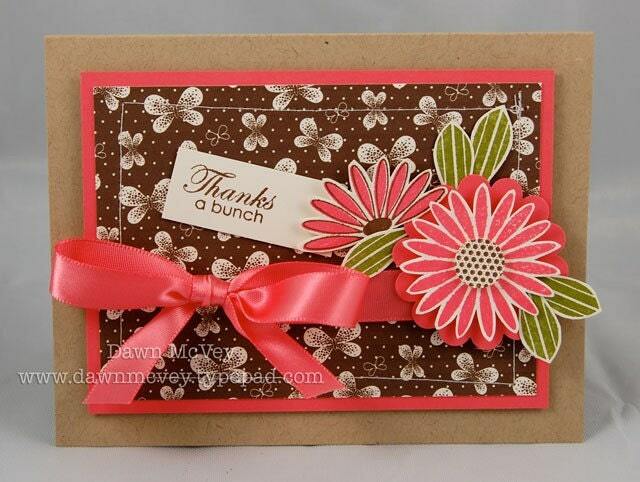 I created the flowers with my Sizzix BIGZ Flower & Leaf die using an assortment of DCWV Latte Mat Stackpaper. I stitched around the edge of slices of Papertrey plum pudding cardstock from my generous friend Charlene mounted on Gina K's Pure Luxury heavy base weight- chocolate kiss (I don't think any dark brown cardstock really compares with this) and added assorted buttons to tie in the colour scheme. Quick and fairly easy. The next one was for my son's teacher who gave him lots of support; engaging projects; and encouragement and energy this year. 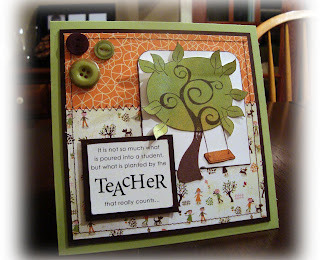 I spotted the sentiment on Lisa Johnson's blog and thought it was perfect for Aidan's teacher. Since I don't own this Papertrey Ink stamp set, I created my own in Illustrator and printed it on Gina K 120lb pure luxury cardstock. The tree and swing are from Taylored Expressions Branching Out and Branching Out Accessories, the first sets I designed for Taylor. Love this tree!!! The colour choices were inspired by the sweet schoolyard paper from the Basic Grey Mellow 6x6 paper pad and the funky orange is from K&Company 's Carolyn Gavin Greenhouse paper pad. 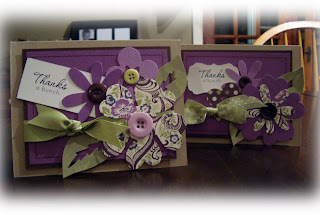 Overall, I was thrilled with my stitching and how this card turned out. Nancy these are stunning - I really have to get out my Branching out set! Hey, the Teacher one is outstanding! And I love purple so anything done with that colour is on my top ten girl! Happy Birthday, Emily-Life is a Party! !